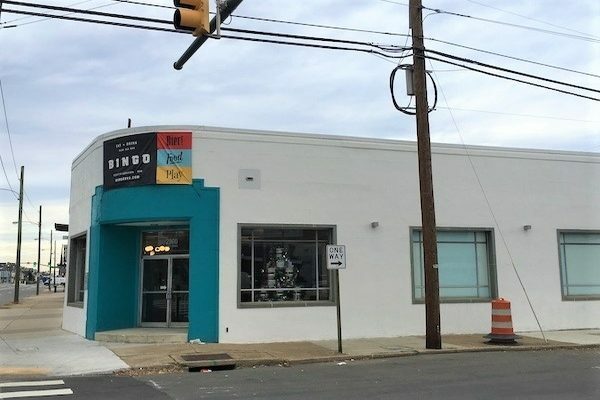 Bingo Beer Co. opened last month at 2900 W. Broad St., a joint venture from local restaurateurs Jason Alley and Michele Jones, who own Comfort and Pasture; Jay Bayer, who owns Saison; and local businessman Ted Ukrop. The 13,000-square-foot brewery, restaurant and arcade takes its name from the bingo hall that preceded it at the intersection of West Broad and North Sheppard streets. 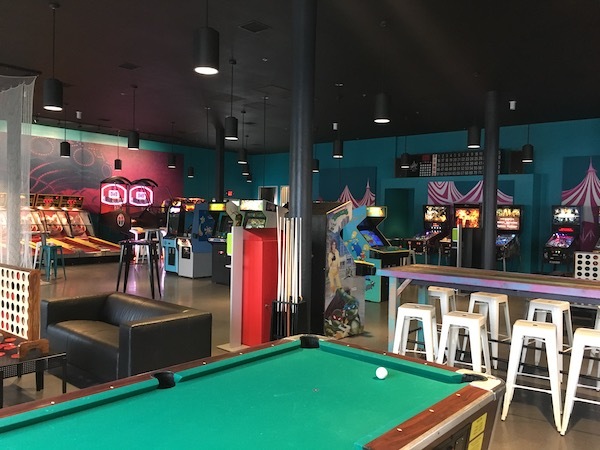 Bingo has over a dozen arcade games, Skee-Ball, pool tables and air hockey tables, as well as a food menu that offers what Bayer describes as elevated carnival or snack bar food, including tater tot nachos, crispy chicken sandwiches, and mac and cheese. Even with the arcade and restaurant aspects, Bayer said Bingo is foremost a brewery. “Bingo Beer Co. is a brewery first. What we’re trying to do with the arcade, the bar and the restaurant concept is to create a brand experience for people to enjoy the beer,” Bayer said. Bingo operates a 15-barrel brew system capable of producing about 4,000 barrels of beer per year, and its owners hope to distribute its beer across the region. 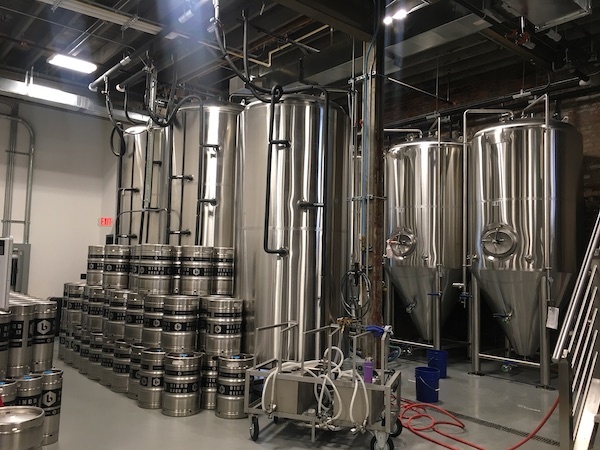 The brewery has signed with Sandston-based distributor Specialty Beverage of Virginia, and Bayer said it recently sent out its first run of kegs of its flagship beer, Bingo Lager. “We want to pepper the near suburbs with Bingo Lager and have that in a lot of places. We want to be a regional brand,” Bayer said. At the brewery, Bingo has seven beers on tap, including a saison, gose and three lagers. Bayer said Bingo will be focused on brewing lagers, drawing inspiration from traditional European beers. Bayer said they’ll begin canning Bingo Lager later this month, selling it in six-packs of 16-ounce cans, with hopes of landing it on shelves of major grocers and in restaurants. Bayer said Bingo’s beer won’t be for sale at any of his, Jones’ or Alley’s restaurants in town due to ABC restrictions. The state’s three-tier system requires separate parties to produce, distribute and buy beer, and Bayer, Jones or Alley would count as two of those three in a given transaction. Bayer said they’re talking with State Sen. Jennifer McClellan regarding legislation on the matter. “We’re trying to fight it. We’re trying to get a carve out in (the law) for if you’re below a certain production level. Because with Comfort, Pasture and Saison, those are the kinds of restaurants we want to see our beer in,” Bayer said. Bingo also makes its own tonic water and ginger beer that it uses for on-tap cocktails. Bayer said they even use Bingo’s beer to make some of its cocktails. “We take the Bingo Lager beer, boil it to get the alcohol out but not really reduce it, then combine it with sugar to make a syrup. The syrup for our Old Fashioned is a Bingo Lager syrup,” Bayer said. Bingo is the second beer-arcade concept to open in the neighborhood, joining The Circuit Arcade Bar at 3121 W. Leigh St. It won’t be the newest brewery in the neighborhood for long, as Strangeways Brewing announced last week it plans to open a taproom at 3110 W. Leigh St.